For the past five years, Akari has been supporting Adamson in the University Athletic Association of the Philippines (UAAP). Season 81 is no exception as Akari continues to soar with the Falcons. Akari is once again going all out to support the Adamson Falcons in their bid for a men’s basketball championship. Since taking over the program in 2016, coach Franz has steered the team to two consecutive Final Four appearances. This year, the Falcons are touted as strong contenders in the senior men’s basketball division. Meanwhile, third-year American mentor Airess Padda is training the Lady Falcons to compete at a higher level. As part of their off-season build-up, the volleybelles are joining several leagues ahead of their UAAP season opening in February 2019. For the program’s continuity, Akari has also included the high school girls’ volleyball team under its management. Early this year, the company held the Akari National High School Volleyball Championships to scout promising players and bring them in to the Adamson junior and senior volleyball programs. After delivering the university’s first championship in the UAAP Cheer Dance Competition (CDC) last year, Adamson Pep Squad coach Jam Lorenzo and his wards are training harder than ever to defend their crown as the UAAP CDC unfolds in November. 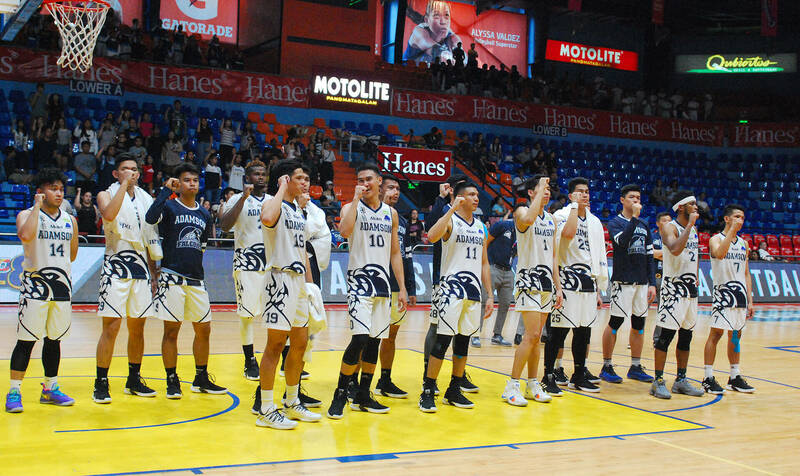 Akari’s unwavering support to the Adamson University for the past five years is just one of the many initiatives under the brand’s youth development and sports program. The company has formalized the Akari Foundation to extend its support to the youth beyond collegiate sports. Akari recently gathered the 2018-2019 Adamson University scholars of the company. In an intimate dinner, Christopher Tiu, Akari CEO, reiterated the lighting and energy company’s commitment to help enlighten the future of the Filipino youth.